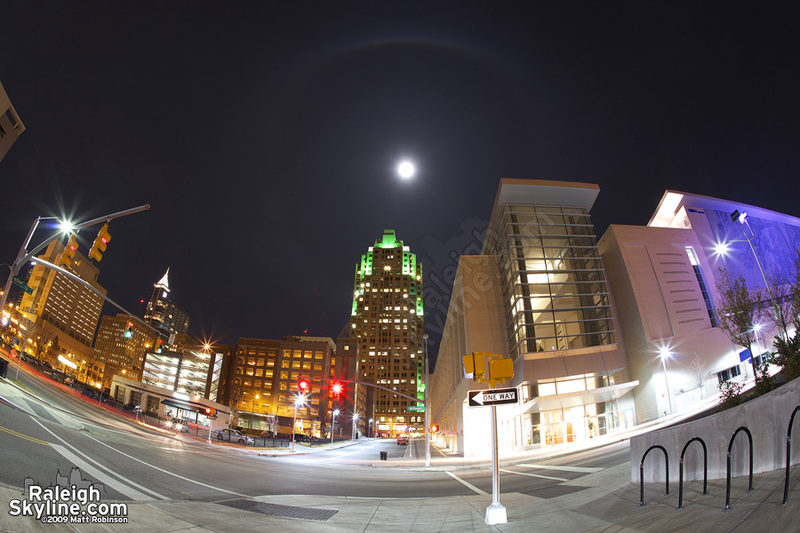 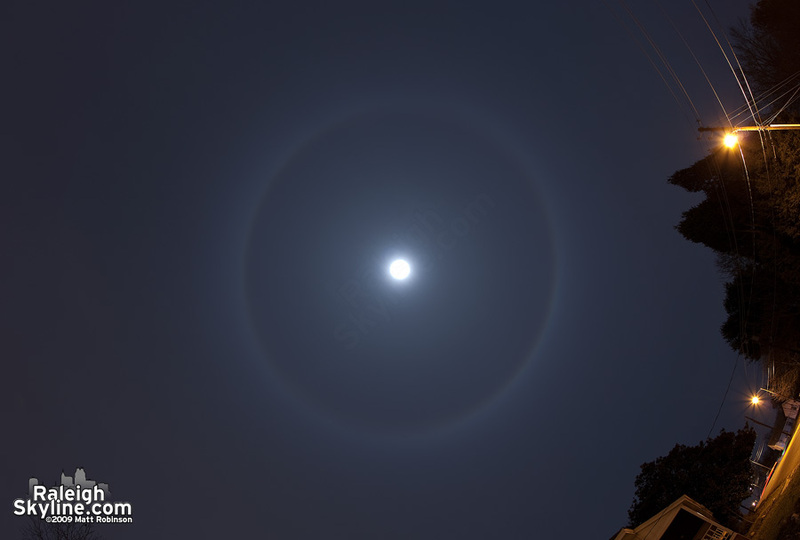 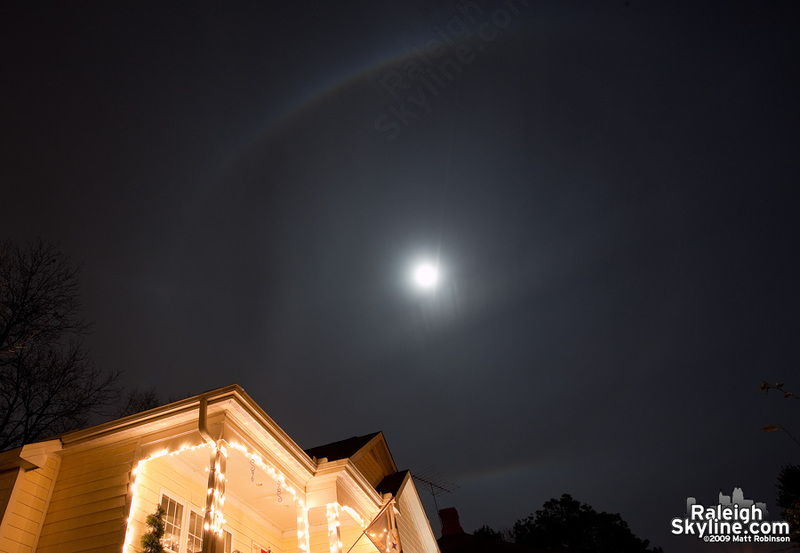 If you looked to the sky last night around Raleigh, the moon and atmospheric ice crystals put on a show. 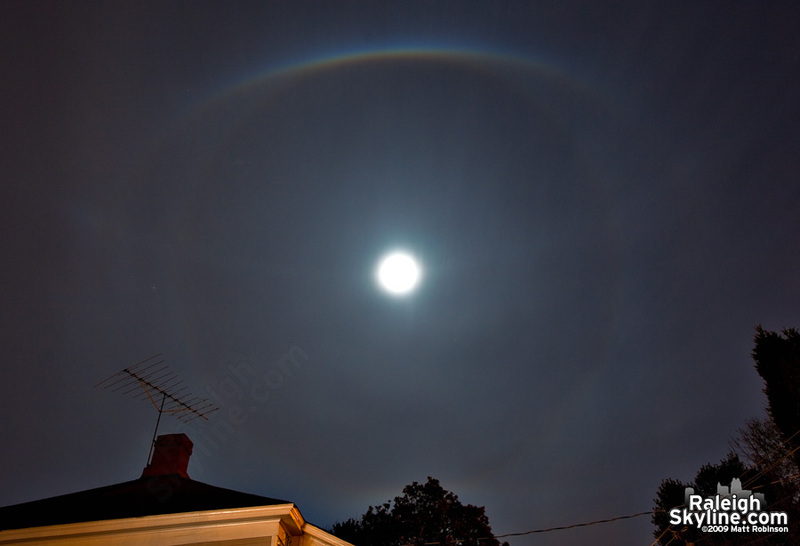 I’m no expert, but I think I’ve identified several rare phenomena that were visible. 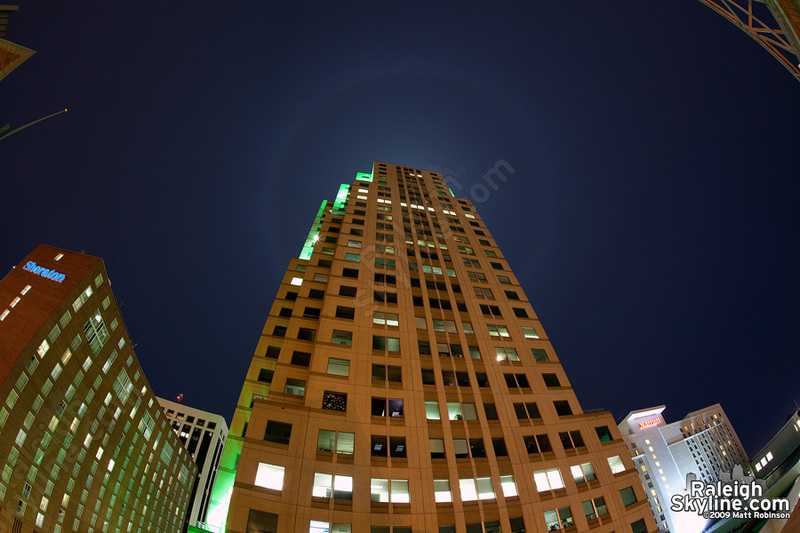 In this first image, there appears to be Parry Arc, faint Parhelic circle, and 22º halo.